As of this writing, Distrowatch has the current number of active Linux distros (another word for an OS) pinned at 307. In reality,many more are in circulation. As for the number of Linux apps? Unbelievable. You can find all kinds of distros for gaming, for running servers, and even very specific ones for perhaps running on a toaster. In this article, we’ve rounded up some of the most popular Linux apps and distros to keep an eye on in 2018. Looking at the winners from the LinuxQuestions poll, some apps simply reign uncontested. There are some that barely scraped victory. You may have heard of these apps or you may be using an alternative but these are undoubtedly some of the best in their respective areas. VLC has become a household name in the media player world. Short of opening a text document, VLC will pretty much play anything you throw at it. And just when you thought its abilities were limited to media playback, the menus reveal some diamonds in the rough. VLC includes an audio or video converter for changing the format of your media. It may not be as feature rich as something like handbrake, but it does get the job done. VLC also allows you to record your desktop How to Record Your Screen Using VLC How to Record Your Screen Using VLC VLC Media Player has many uses, but did you know that it can record your screen too? Here's how to easily record your desktop with VLC. Read More or save footage from your webcam. 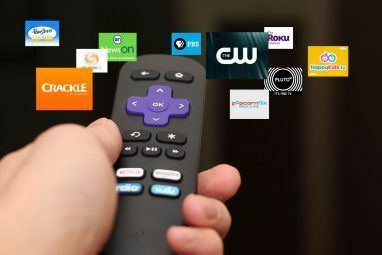 It can stream media from the network or the internet, take screenshots and even bookmark specific places in a video. The simple interface, combined with the ability to do nearly everything media related makes this the most popular media player by a mile. There are of course alternatives, but for now, VLC reigns supreme on Linux. As you watch open-mouthed as your poorly placed coffee mug tumbles in slow motion towards the floor, regurgitating its contents all over your laptop, a fleeting thought of your backups slices through the profanity that will ensue. You would be less infuriated had you chosen rsync as your backup application Back Up Your Data With Rsync (No Desktop Required) Back Up Your Data With Rsync (No Desktop Required) Backing up files in Linux shouldn't be difficult. You could use Grsync, but to get to grips with the tool's full features, you need to discard the user interface and try rsync. Read More . It is famous for its delta-transfer algorithm, which reduces the amount of data sent over the network by sending only the differences between the source and destination files. Widely used for backups and mirroring, rsync also works as an enhanced copy command for everyday use. The app can even find files that need to be transferred by checking the files’ attributes (based on things like changing file size, or last-modified time). It also supports compression on the fly, minimizing the amount of transferred data. If you are concerned about security, rsync can transfer files over an encrypted channel using SSH. The versatility rsync brings to the table advocates just how powerful and versatile Linux can be. Keep your coffee in your mug and start using rsync. Firefox needs no introduction to the browser world, and yet it exists in one of the fiercest, most competitive spaces. Firefox Quantum brought with it some shiny new features Why Firefox Quantum Should Be Your Default Linux Browser Why Firefox Quantum Should Be Your Default Linux Browser Which Linux browser do you use? If you're not using Firefox Quantum already, you should be. Here's why Firefox Quantum should be your default Linux browser. Read More and enhancements and has established itself as one of the most popular Linux browsers. Quantum is not just a pretty face; it boats a new multi-process engine for slick and faster browsing. This mitigates against a full application crash if something goes wrong in one of the tabs. Firefox is also highly customizable. Want to tweak the toolbars or add a theme? Fine, you can! It supports a tremendous amount of addons to enhance your portal to the web. According to Mozilla, more than 700 authors contributed code, which demonstrates how well invested people are in both the application and open source software. Firefox has been around for a while; its maturity is showing and it’s here to stay. This is a topic that will almost always spark a thermo-nuclear war. The competitors could not possibly be any closer: nano, emacs, Geany, and of course vim. Each with their own respective philosophies, origins, and paradigms. The winner of the popularity contest, however, like it or not, must go to vim nano vs. vim: Terminal Text Editors Compared nano vs. vim: Terminal Text Editors Compared Although Linux has become easy enough for practically anyone to use without ever having to use the Terminal, there are some of us who regularly use it or are curious about how one can control... Read More . With vim, it’s almost always pre-installed, and blisteringly fast. For a newcomer, the main gripe is that they just don’t know how to close it. It does what it says on the tin. You open up a file, do a quick edit and then quit. What more were you looking for? You can work with the basic setup if you are on someone else’s machine. It’s not as customizable, but it’s still far better than most text editors. Best of all, vim is easier to learn. You might still not be free from the Windows vice grip, or you might need to try out a new distro. Virtualization is quickly becoming more frequent as hardware continues to evolve. VirtualBox has long been the hypervisor of choice How to Use VirtualBox: User's Guide How to Use VirtualBox: User's Guide With VirtualBox you can easily install and test multiple operating systems. We'll show you how to set up Windows 10 and Ubuntu Linux as a virtual machine. Read More for Linux systems. It’s free, open-source, supports snapshots, has cross-platform host support and many other features along with it’s bragging rights. 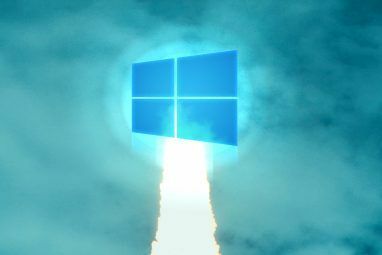 VirtualBox is more user-friendly than its counterparts like Qemu 3 Ways You Can Run MS-DOS Games and Apps in Linux 3 Ways You Can Run MS-DOS Games and Apps in Linux Many use Linux to play classic games and apps in an MS-DOS emulator. But are you using the best tools? Here are three ways to emulate MS-DOS on Linux. Read More . Even if something goes completely haywire, restoring a snapshot takes a matter of seconds, and you can practically reverse time. Picking a distro isn’t nearly as easy as picking an app. There are many more considerations that need to be made based on use case, usability and specific requirements. We looked at the winners from the poll and the coveted page hit ranking on Distrowatch. All of the distros below are as popular as they are awesome in their own special ways. You are going to have to decide which one is closest to your needs. A relative newcomer to the party, Solus has grown to be an absolutely stunning distribution Can Solus Replace Your Current Linux Operating System? Can Solus Replace Your Current Linux Operating System? A Linux operating system that has been gaining traction lately is Solus. Aimed at the everyday home user, let's find out why Solus might make a perfect replacement for your current desktop OS. Read More . Their flagship Budgie Desktop is a thing of beauty. It manages to feel modern and elegant without ever feeling clunky. Their choice of the eopkg package manager may be a concern to some, but you won’t feel deprived of your everyday applications. Ikey Doherty, the founder of Solus, had a particular distaste for regular package managers and wanted to automate many of their tasks. This outlines the user experience paradigm they are aiming for. The practical panels and applets, fluidity, and steady development of Solus makes it an experience that many will enjoy. In a sea of distros, it dares to be different, and that approach is working well. 24 years into its development cycle, Slackware is the most popular server distribution for 2018. 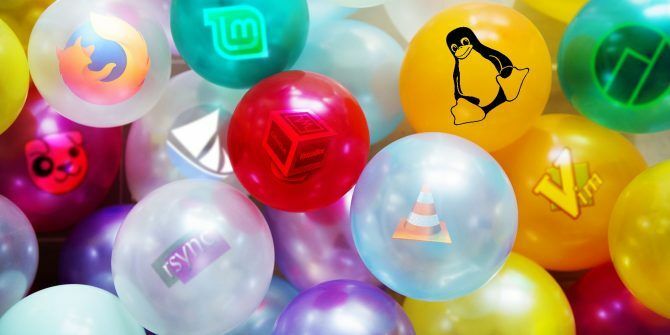 Ease of use and stability are the top of Slackware’s priorities, but it might be considered a little difficult to install Are These the Toughest Linux Operating Systems to Install? Are These the Toughest Linux Operating Systems to Install? Most Linux operating systems are simple to install; others are not. If you want to gain more control over your computer, you might opt for a tough-to-install Linux distro like these five. Read More . In contrast to other distros which have time-bound releases, Slackware does not have a rolling release. Instead, it has a release policy which follows a feature- and stability-based cycle. A new release is available only when a suitable number of changes from the previous version have been made, and have led to a stable environment. Some Slackware users adore the fact that Slackware is free from “pointless” additions like systemd, pam, and SELinux. For these reasons and many others, Slackware is the popular kid in the Linux server world. It is not every day you come across a distro which has the same minimum system requirements as a microwave oven. You can find an official version of Puppy Linux with an ISO size of around 115 MegaBytes. While Puppy Linux isn’t going to have anything fancy, it can breathe life into any ancient computers you may have hoarded. Puppy should not be mistaken for a single Linux distro like Debian; rather it is a collection of multiple Linux distributions built on the same shared principles and built using the same tools. Surrounded by an awesome community and levels of esoterica for almost any use case imaginable, Puppy makes an excellent lightweight choice for your needs. If someone new to Linux where to ask you the best place to start, Linux Mint should be the answer. Linux Mint offers a complete Linux experience 5 Flavors of Linux Mint 18 You Can Try Today 5 Flavors of Linux Mint 18 You Can Try Today Linux Mint is a distro that has roots in Ubuntu but lots of changes that make it worthwhile. In this article, we explore the five flavors of desktop environment that you can try. Read More that makes it easy for anyone to get acclimatized. Linux Mint comes pre-installed with LibreOffice, GIMP, VLC, and Firefox, which means you’ve hit the ground running as soon as the OS boots for the first time. Even compared to Ubuntu, it seems to work out-of-the-box with so much hardware. Mint comes in a few flavors 5 Flavors of Linux Mint 18 You Can Try Today 5 Flavors of Linux Mint 18 You Can Try Today Linux Mint is a distro that has roots in Ubuntu but lots of changes that make it worthwhile. In this article, we explore the five flavors of desktop environment that you can try. Read More , depending on your use case. From Cinnamon which provides a fuller desktop experience, to MATE which is slightly more suited to lower specs. Linux Mint can be your gateway into the Linux world. Similar to how Mint is based on Ubuntu, Manjaro has its roots in Arch Manjaro Linux: Arch For People Who Don't Have Time Manjaro Linux: Arch For People Who Don't Have Time Read More . Unlike Arch, however, Manjaro is ready to be used out of the box. The beauty of Manjaro is its ability to take Arch and simplify it for the average user. The Manjaro team also tests new packages before making them available, unlike Arch’s rolling release system. Manjaro also makes quick work of switching kernels. This normally involves canceling your evening plans and praying to the terminal god. Manjaro has an application that allows seamless switching between kernels, which is especially useful in older hardware that may reject modern kernels. Manjaro also has both official and community editions, one of which is based on the most popular desktop environment, KDE’s Plasma. One of the only difficulties seems to be installing Google Chrome. However, you should consider installing Yaourt first. Yet AnOther User Repository (Yaourt) is essentially a front end for the standard pacman package manager. It makes installing packages from Arch User Repository (AUR) easy, along with many additional features. Manjaro is second only to Linux Mint on Distrowatch and has steadily climbed the ranks to be in with the cool crowd. It features all of the familiar desktop environments and should be on your list to try out next. Fortunately, the Linux community is vocal on the trending applications and distros that are out there. Our list of the best Linux software The Best Linux Software and Apps The Best Linux Software and Apps Whether you're new to Linux or you're a seasoned user, here are the best Linux software and apps you should be using today. 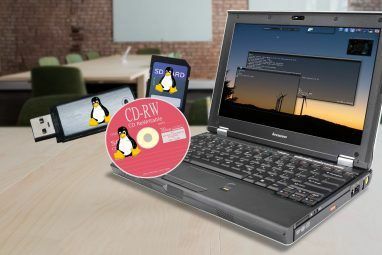 Read More should help here, and don’t forget to browse our top list of the best Linux distros The Best Linux Operating Distros The Best Linux Operating Distros The best Linux distros are hard to find. Unless you read our list of the best Linux operating systems for gaming, Raspberry Pi, and more. Read More . It bothers me, more than a little, that the author has not yet discovered that "rsync" is not a backup program. Linux has a TON of excellent backup programs, but "rsync" is a SYNC program for files and folders (both local and remote). I use rsync almost daily, but my backups are clonezilla images and BURP network backup. I have to disagree on the recommendation for a Linux newbie. I use the three major OS on almost a single day OS X on a Macbook Air, WIndows 10 at home on a Desktop and on a Laptop, and Ubuntu Linux at work. I tried a lot of distros included Mint, and my recommendation for a person coming from Mac Or Win is Ubuntu. I have several issues with Mint configuring simple things like networking and other. Solus is at a pivotal point as we wait for version 4. Nearly everything about version 3 is as good, if not better, than every other distro. The one downfall to Solus 3 is software installation, which is by far the worst of any distro I have ever seen. Unfortunately it makes Solus nearly unusable unless you want to use only the preinstalled software or spend time finding workarounds for the inept default installation process. Really hope they can fix the issue with the upcoming release. Would love to use Solus again, but if they can't fix this issue they are going to take a huge hit. I've been a Linux users since 2008 and I've used a lot of distros, but the last 1.5 years I've been only using Solus and I love the software installation. Esp. the Software Center as it's easy to use and very fast, but eopkg in the terminal is also very nice to work with. I wish it worked well for me. Every time I attempt to install ANYTHING from the software center or through terminal it is excruciatingly slow. I have tried several times and it's always the same. I am apparently not the only person that has that problem. I sincerely hope they figure out why this issue happens for certain people. I love everything else about Solus, other than software installation. However, it literally takes 8 to 9 hours for Chrome to install if it even finishes. It sounds like you've done some googling. Are the other people who are experiencing the issue on the Solus support forum as well?